 Franklin Synergy Bank and Reliant Bank have joined Hytch Rewards to tackle traffic and defend clean air. In deciding what disruptive innovation a banking institution should embrace next, Cleveland suggested a four-question litmus test: 1. Is it generous? 2. Is it worth doing? 3. Is it about positive change? 4. Has it ever been done before? This litmus test applies perfectly when it comes to community banks partnering with local startups. As stewards of their communities and customers, community banks seem a natural fit to support startup success as a way to launch a community’s economic growth forward. In partnering with Hytch, Franklin Synergy Bank and Reliant Bank are examples of community banks who are not simply the bank entrepreneurs go to, but the bank they want to grow through. “Serial entrepreneur” Cleveland’s social impact technology company built Hytch to be the world’s first free smartphone app that uses synchronized GPS technology to validate and reward ridesharing, whether in a car, bus, or train. 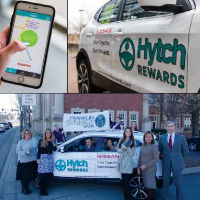 Since launching in February 2018, Hytch and its sponsor partners, including Franklin Synergy and Reliant, have rewarded Tennessee commuters for sharing more than 506,000 miles. Because Franklin Synergy Bank rewards one cent for every shared mile driven in Williamson, Davidson, and Rutherford counties, its logo is prominently displayed in the “Cash Out” screen of the app for those tri-county users. And as bankers know, those pennies add up, not just as extra spending money in the pockets of Hytch users, but in the minds of users as well. Through Hytch Rewards, Franklin Synergy is accomplishing brand recognition and loyalty right where their 13 locations serve the community. 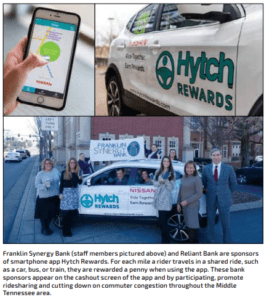 “As a community bank Franklin Synergy is proud to be a part of the solution to solving our local traffic issues and to partner with Hytch,” Frankin Synergy Bank Chief Operating Officer Kevin Herrington said. “This partnership strategically aligns with our mission to bring technological advanced banking products to our customers, so the decision was easy.” Reliant Bank’s incentives plan is two-fold. First, they will benefit the Williamson County Schools bus program by incentivizing students one cent for every mile they travel on a WCS bus while using the app. Williamson County Mayor Rogers Anderson says he “can’t wait to buy more school buses.” “We have a growth issue in Williamson County, like all of Middle Tennessee,” said Anderson. “When we go to build schools we have to buy extra land for parking areas. And land in Williamson County is not cheap. My hats off to Mark Cleveland and all of sponsor members for getting this done. It’s the type of innovation that will get students back on the bus.” Second, because Hytch Rewards is a perfect tool to connect with a particular geographic location, Reliant Bank will add another four cents to the one cent Nissan North America already pays to ride-sharers in Chattanooga and Maury County. Reliant’s sponsorship of Hytch creates super sticky advertising in their digital marketing strategy and demonstrates commitment to the communities they serve. DeVan D. Ard, Jr., Chairman, president, and CEO of Reliant Bancorp, commented, “We are excited, in light of the recent merger with Community First, to build the Reliant brand across our markets in Middle Tennessee and Chattanooga.” The rate of adoption has been astonishing—630,000 vehicle miles not driven have already been validated by the Hytch Rewards in two months—demonstrating that cash rewards can serve as a rallying point and a big source of motivation for commuters who decide to share more rides. Any Tennessee bank can join Nissan, Franklin Synergy, Reliant, and other sponsors with a local sponsorship of a county, city, or community they value.